Pictured above is the new miniaturised version of our old (but still popular) 12 Volt Regulator with Fuse and Switch terminals designed to protect LED lighting and other sensitive electronics from damage when connected directly to a 12V battery which may give out up to 15 Volts when being charged (whether by solar, wind, or plug-in charger). The new version is just 45mm x 45mm x 20mm in size – less than half the size of the original and also a bit cheaper too and still supplied with a couple of spare fuses. 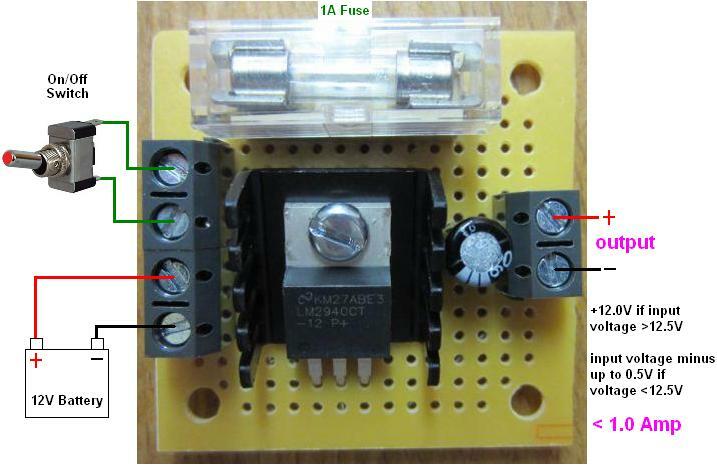 Click here for more details or to buy: Mini 12 Volt Regulator with Fuse and Switch Terminals.